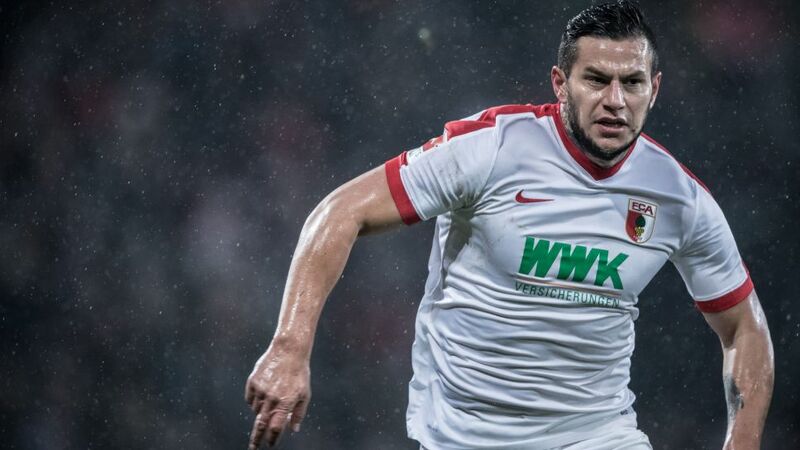 Borussia Mönchengladbach have brought in some attacking muscle ahead of the new season by resigning Paraguay international Raul Bobadilla from Augsburg on a two-year deal. The forward previously spent three seasons with Gladbach between 2009 and 2012, scoring eight times in 59 Bundesliga appearances after signing from Zurich side Grasshoper. The Buenos Aires native returned to Switzerland in 2012 to play for Young Boys and then Basel before making his return to the Bundesliga with Augsburg. In four seasons with the Bavarian club, Bobadilla scored 21 goals and provided 10 assists, as well as netting six times in seven games during the club’s one-and-only Europa League campaign to date. The Paraguayan also famously scored the only goal of the game when Augsburg beat Bayern Munich at the Allianz Arena in 2015. Click here for more Gladbach news and features.